ATB Financial is a big supporter of arts and cultural events and organizations in the province of Alberta. They have a deep understanding of why investing in this area makes sense. I'm proud to serve on the Premier's Council on Culture with ATB's Chief Economist Todd Hirsch. He brings a business sensibility to our discussions serving as Chair, while sharing his personal passion for arts and culture and the inherent way that they add to our quality of life, strengthening the Alberta Advantage. 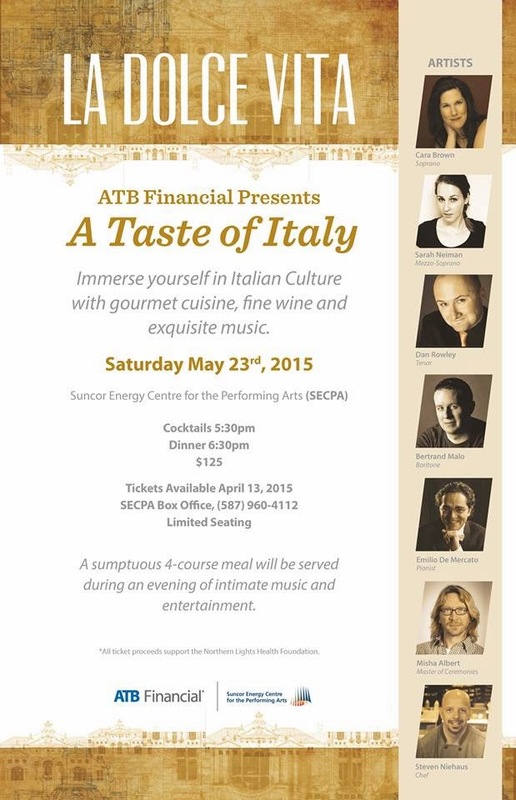 ATB Financial in Fort McMurray is sponsoring an amazing event coming up on May 23rd called La Dolce Vita: A Taste of Italy. Featuring an immersion in Italian culture, cuisine and opera, the event is going to be an unforgettable experience. I recently connected with Bryan Rabik, Senior Director Corporate Financial Services, to learn more about their drivers for investing. "Community is important to everyone here, and strong communities require several key elements to not only survive, but truly thrive," said Rabik. "The arts and culture sector is a critical component of any thriving community and at ATB Financial we are proud to support many events and programs focusing on art and culture across our Province. If you visit one of Alberta’s many festivals and events, there’s a good chance you’ll see that ATB is behind the scenes supporting it. From 2012’s performance of Bella Voce here in Fort McMurray to the Edmonton International Fringe Theatre Festival, from the Grande Prairie Street Performers Festival to the National Music Centre in Calgary, we believe investments in arts and culture are really just about sound investments in our communities. This year’s La Dolce Vita will be no different – supporting a cultural event that not only contributes financially to our community, but helps to weave a more complex and engaging fabric for our fellow Fort McMurrayites." Bryan recalled that it was former superintendent of Fort McMurray Catholic Schools, Kim Jenkins, who approach ATB Financial for a small donation to pay for the venue for the original Bella Voce. "Without a significant promotional budget, approximately 150 attended a two-hour performance of Bella Voce with all entertainers hailing from Fort McMurray," said Rabik. "Given its success, we were hoping the performers would approach us to sponsor another similar event." Jumping forward to 2014, new energy was building in terms of growing the event. The performers began meeting with folks from ATB Financial and enlisted other committee members to imagine what this event could become. "As planning continued throughout 2014, industry's downturn and its impact to the region became more prevalent and we felt that it became even more important that events of this nature not be lost in the community. ATB Financial decided to eliminate the risk of ticket sales and covered costs of production. We asked 200 of our best friends to pay a nominal ticket price and opted to donate one hundred percent of ticket sales to the Northern Lights Health Foundation." La Dolce Vita features local opera sensations Cara Brown - soprano, and Sarah Neiman - mezzo soprano. They will be joined by some talented colleagues from Edmonton including Dan Rowley - tenor, Bertrand Malo - baritone, and Emilio De Mercate - piano. The chef for the evening is Steven Niehaus, putting together an unforgettable 4-course meal. The delightful and talented Misha Albert will perform as Master of Ceremonies. "The event's primary purpose is to showcase Fort McMurray's operatic talent and artisans during an evening that promises to be very unique to the city," said Rabik. "We also thought that an event of this nature adds to the community fabric. In our little way, we are helping to offer an experience that people in other cities take for granted." 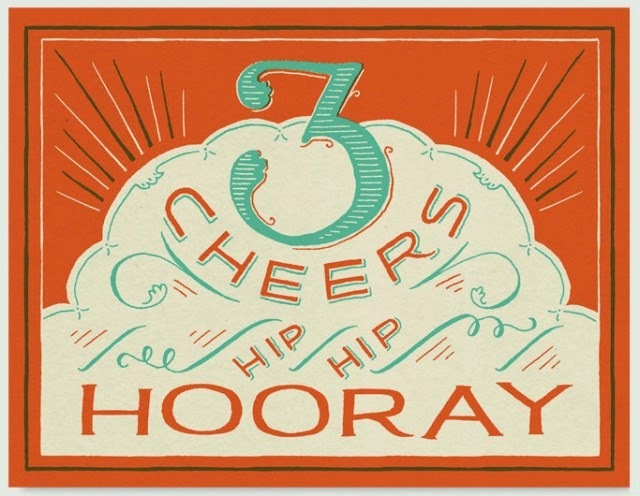 Three cheers for ATB Financial for being community leaders and valued champions of the arts. For information about La Dolce Vita: A Taste of Italy, call the Suncor Energy Centre for the Performing Arts Box Office at 587-960-4112.